Biophysical models have been used in biology for decades, but they have been limited in scope and size. 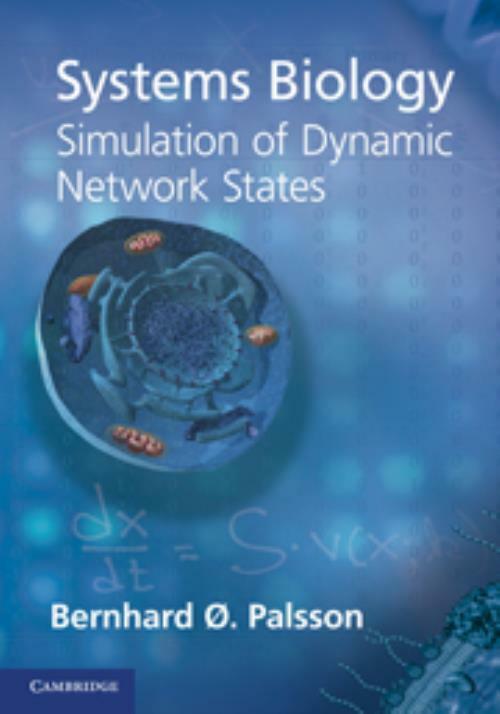 In this book, Bernhard Ø. Palsson shows how network reconstructions that are based on genomic and bibliomic data, and take the form of established stoichiometric matrices, can be converted into dynamic models using metabolomic and fluxomic data. The Mass Action Stoichiometric Simulation (MASS) procedure can be used for any cellular process for which data is available and allows a scalable step-by-step approach to the practical construction of network models. Specifically, it can treat integrated processes that need explicit accounting of small molecules and protein, which allows simulation at the molecular level. The material has been class-tested by the author at both the undergraduate and graduate level. All computations in the text are available online in MATLAB® and Mathematica® workbooks, allowing hands-on practice with the material. 15. Epilogue; A. Nomenclature; B. Homework problems; References; Index. Bernhard Ø. Palsson University of California, San Diego. Bernhard Ø. Palsson is the Galletti Professor of Bioengineering and Adjunct Professor of Medicine at the University of California, San Diego.